As change accelerates, disruption becomes the norm. A successful company like yours must differentiate itself by identifying the opportunities and designing the products that are better than the competition. Is your business ready to match the speed of agility? Do you see the pace of change as an opportunity? Do you collaborate with customers from design to deployment? Welcome to the world of Agility – which unifies the silos between departments, engages engineering, marketing, sales, operations and the executive suite, and steers the entire organization in the right direction with speed. To survive and thrive in this competitive world, you must be an agile company; which can quickly and confidently respond to change, deliver value faster than the competition, and build high-quality products that customers really want. In Agile projects, user stories are being developed more rapidly, but the successful delivery to customers cannot be realized if the developed code is not deployed efficiently to meet project and customer requirements. Navitas DevOptimize™ enables rapid delivery of capabilities to the end consumers by breaking the silos between product owners, architects, developers, testers, release managers, and system operators and thus stimulating collaboration and innovation between development and operations teams. Our proven methodology leverages industry standard software, tools and provides a standardized and repeatable automated build and deployment environment to enable frequent delivery of high-quality software. Navitas DevOptimize™ encompasses all aspects of DevOps lifecycle to achieve maximum effect and efficiency, paving the way for more agile and healthy organization that’s built for sustainable growth. 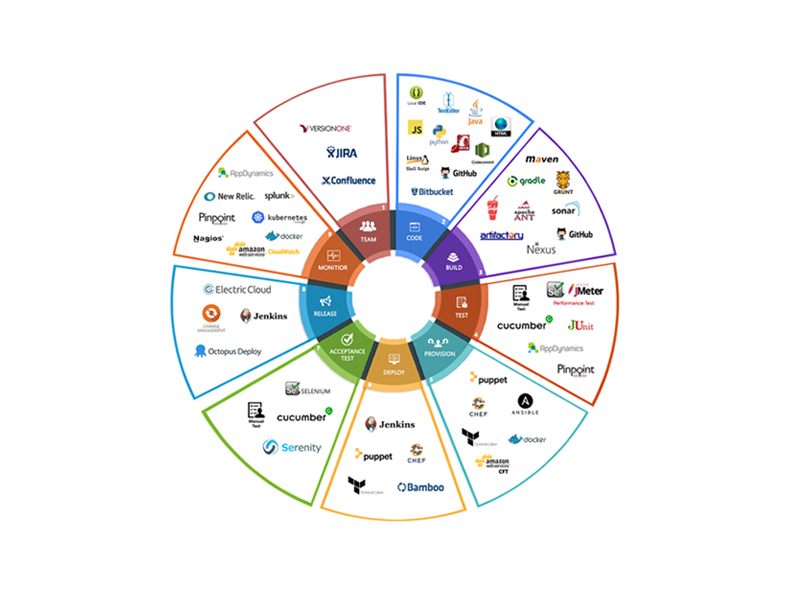 Our one click build and deploy automation methodology provides rapid creation of DevOps platform that is highly available, resilient, easy to manage, scalable, and cost effective solution with proven open source technologies. Navitas DevOptimize™ offers an iterative development process. 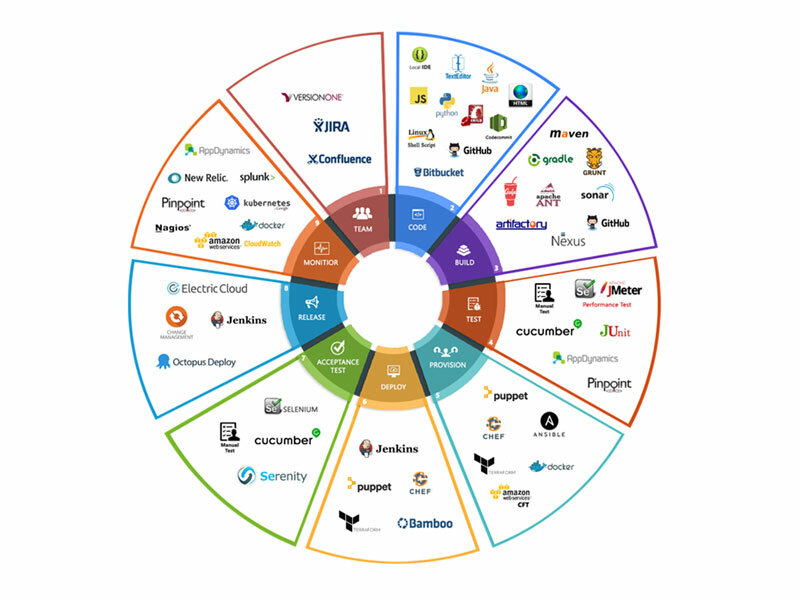 At the core of it lies the voice of the customer to ensure organization is building the right products and features, and delivering them with quality and predictability. It empowers stakeholders and aligns their daily work with the strategy of the business. Navitas DevOptimize™ accelerates and improves the process of software delivery and encourages constant customer collaboration to gauge the product adoption and build the roadmap for the future. The result is more reliable releases and an exceptional end-user experience. Our framework implements one click orchestration of pipeline to integrate on-commit build, unit test, code quality reporting, automated test framework execution and deployment to clustered cloud environments. We can deliver product with automated monitoring metrics to the customer for quicker feedback into follow-up user stories. 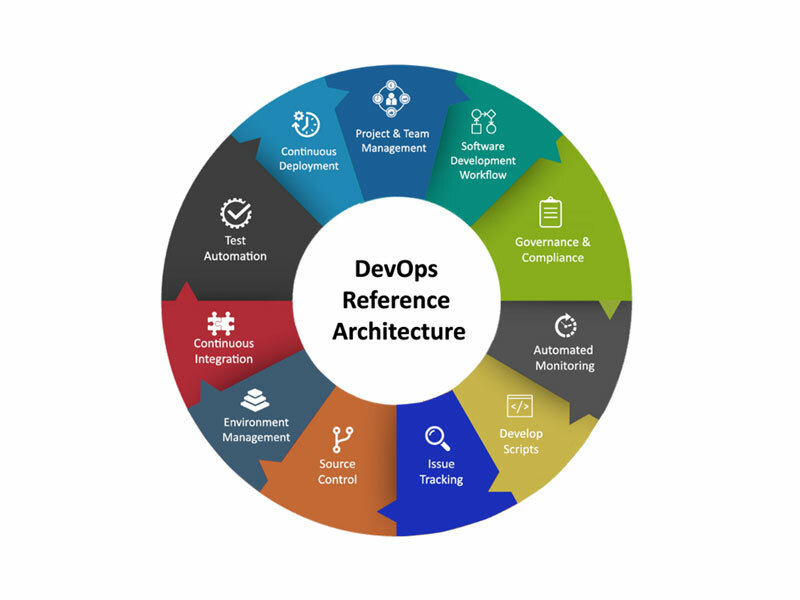 We specialize in creating end-to-end DevOps dashboards that can be customized to give Agile team members and management a comprehensive view of progress and the health of the pipeline for all environments and DevOps tools. Infrastructure created with a one-click button. Ability to support enterprise level with ease. Use Job DSL to create, manage the pipelines. Provide full access to development teams to manage and be self-sufficient. Our DevOptimize™ framework is a realization of a Capability maturity model evolved out of our immense experience in implementation of Agile and DevOps capabilities for various federal and commercial clients. Implemented Agile processes and tools to support efforts towards a more integrated DevOps environment. Implemented a strong build and release orchestration engine for CI/CD pipeline and the program includes multiple Scrum teams. Conducted and developed scripts for automated unit, regression testing and test plans for Integration and UAT testing. We maintained a cross-functional team to increase collaboration in the project. Automated monitoring of environments – We have configured Elastic and Logstash that delivers actionable insights in real time for structured and unstructured data. Elastic search can be used for searching and analyzing data using text analysis, tokenization and filtering. Logstash is the central dataflow engine in the Elastic stack for gathering, enriching and unifying all application data. Configured AWS EC2 cluster and interdependent Microservices deployment for all environments in Docker. Responsible for addressing significant concerns on the Availability and Scalability of the infrastructure. Operating System provision based using Ansible and Puppet for the agency domain apps. Provision CQ5.x/AEM 6.2x, ColdFusion, and Mongo DB for applications using Ansible, Puppet, and Python automation Scripts. Creation of high availability application server clusters for Dev, Test, and Prod. Provision of RDBMS, high availability configuration. Code management using GIT, and management of hosting server GitoLite.